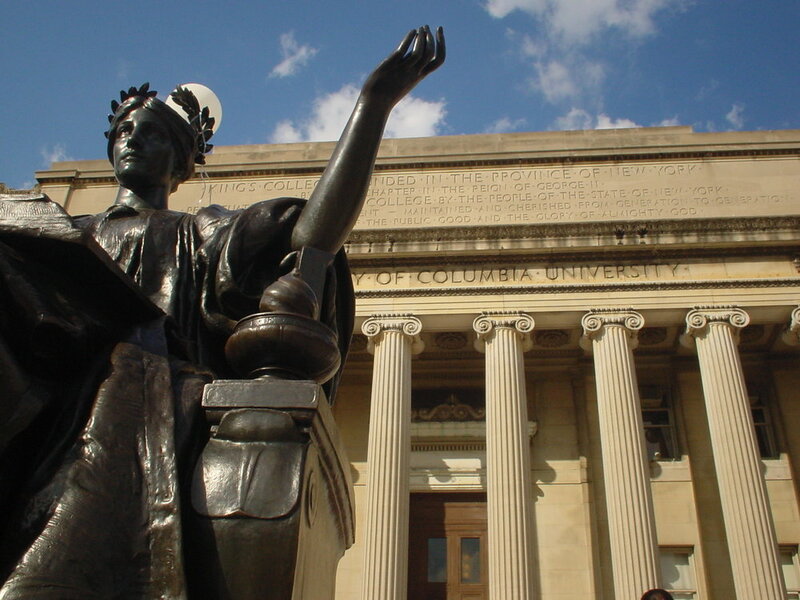 Morningside Heights, NEW YORK— Columbia University’s recent change in student insurance coverage prompted by the Affordable Care Act (ACA) upset both the CU Democrats and Columbia Right to Life (CRL) last week. The altered university insurance coverage dropped a supplemental program funded by a mandatory fee that provided special services, including confidential abortion. The CU Dems began protesting the loss of confidential abortion coverage. Members of CRL wondered why they hadn’t been told the fee went to a pool of funds that covered, among other services, abortion. Columbia blog Bwog broke the news Oct. 12 that the dropped program would mean no more confidential abortion coverage. The CU Dems posted a statement on their website Oct. 13. CRL students, meanwhile, were not aware of the abortion coverage in the first place and suspect other students were unknowingly paying for abortions as well. “I had no idea that our Health Services Fee was covering abortions,” Julia Salazar (’13), CRL president said. After Bwog broke the news, Salazar searched for information about the fee but only found details about the Student Health Plan, a separate insurance plan the university offers. Researching the mandatory Health Services Fee, she said she could find nothing that mentioned abortion. Harvard, a peer institution, enumerates abortion coverage under its Student Health Fee on its website. The CU website’s section on women’s health does not indicate how it is covered. Although the optional Student Health Plan covers “elective termination of pregnancy," students who remain on their parents' plans would lack provision for confidential abortions without the supplemental program. Under the ACA, this program would have to be classified as a separate insurance plan in addition to the Student Health Plan that CU already offers students who don’t use their parents’ insurance. As a result, CU would have been forced to augment the program to become a second insurance plan, increasing the mandatory Health Services Fee. Columbia opted to drop the supplemental program and reduce the fee, which the student newspaper, the Columbia Spectator, reported in an Oct. 17 article, including the CU Dems’ opposition to the lost abortion coverage. Columbia Health Services responded Oct. 22 by creating a discretionary fund that covered abortion. Seward declined to comment further. No other Columbia officials could be reached for comment. She described an encounter with the Spectator during the time of the abortion coverage story. Before the newspaper published its first story on the issue, a Spectator reporter emailed CRL webmaster Nathan Grubb, who forwarded the email to Salazar and Murray. Salazar responded, saying she would be “glad to do an interview,” but she wasn’t contacted again before the article ran. Salazar was quoted, however, in the subsequent article about the new discretionary abortion fund. While CU administration addressed this issue quickly, neither CRL nor the CU Dems have had as much success in the past. CRL has been petitioning Columbia Health Services to provide better care for women who choose to keep their children. Murray said that, during a recent outbreak of a strange rash in one dorm, regular treatments could not help students because of the unusual nature of the rash. Health Services took weeks to offer special services for the rash, even as it grew to an epidemic. “In a lot of ways, their job is to block student stuff they think might be problematic. As a political group, CU Dems has a lot of things that fall in that category,” she said. CORRECTION: This article originally stated that the Student Health Plan requires students to notify parents before obtaining abortions. The Tribune regrets the error.